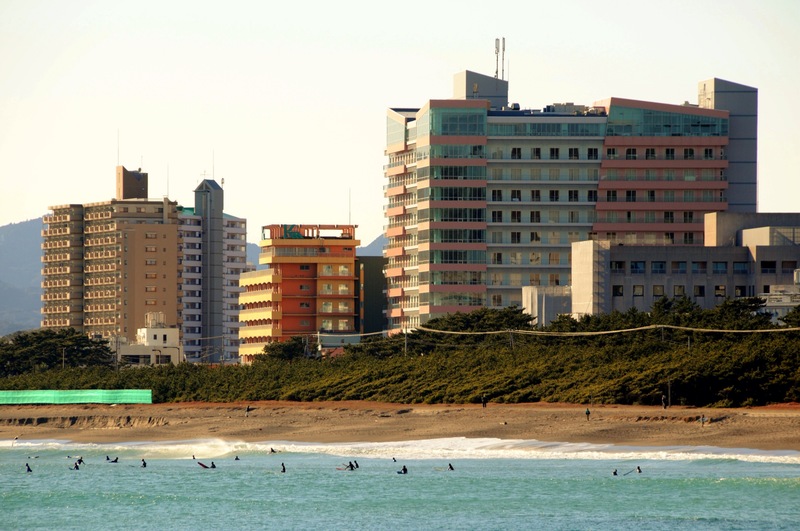 Minami Boso is a collective term for the cities of Tateyama, Minami Boso, Kamogawa, and Katsuura, which make up the southern tip of Chiba’s Boso Peninsula. The area is full of wonderful sightseeing spots, but many are hard to reach by mass transportation and so they are often overlooked. This is a list of my favorite Minami Boso attractions in Tateyama, Minami Boso, and Kamogawa. 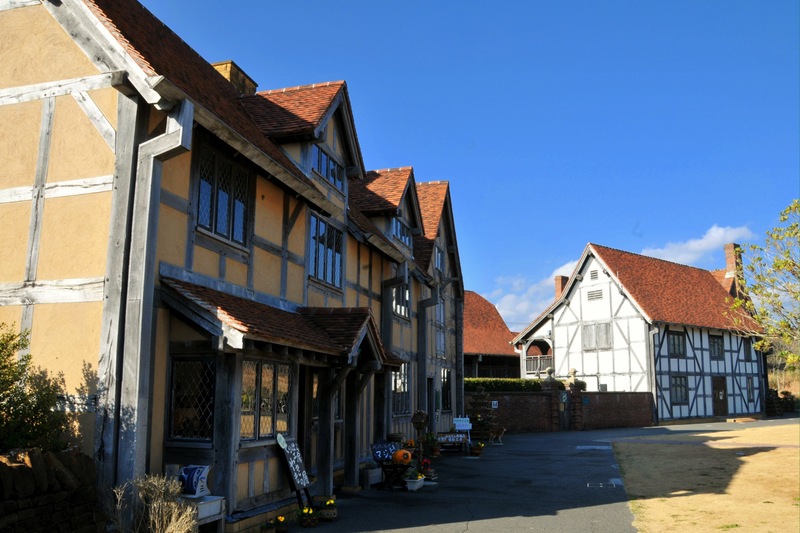 *Katsuura is more to the west and is best visited on another trip. 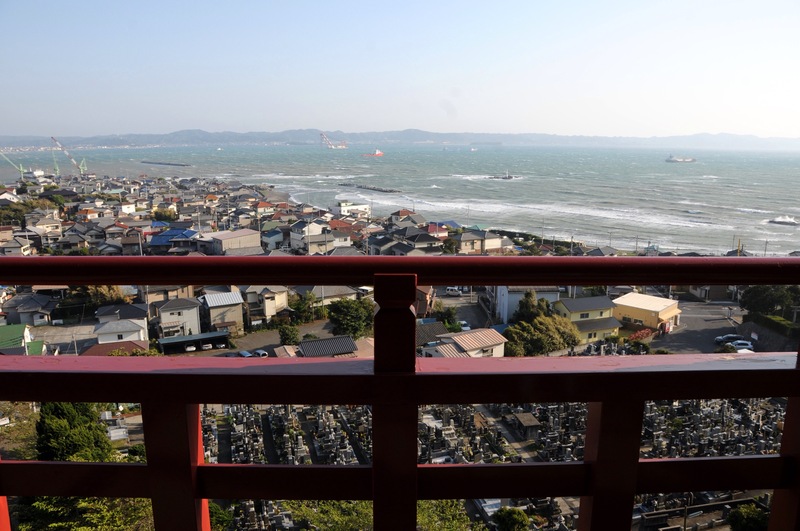 Tateyama is home to a lovely little castle that sits on the top of a hill overlooking the city and sea below. 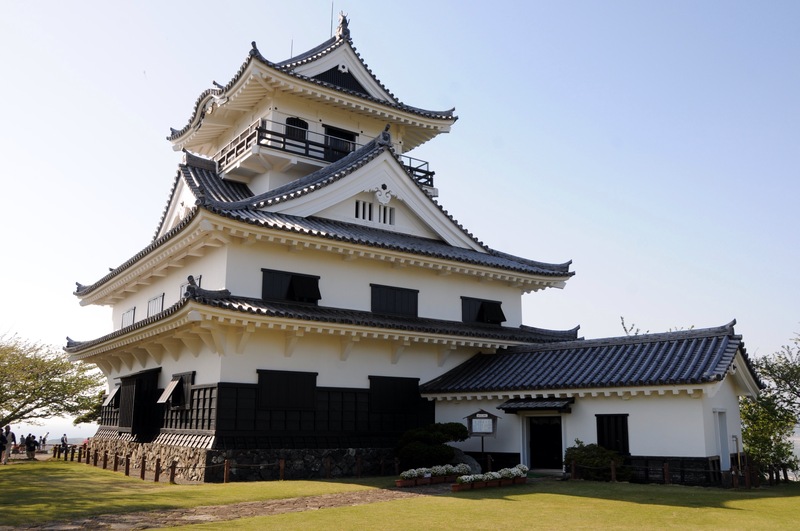 It houses a historical museum and is best visited during azelea season. A ‘Flower Line’ runs from Tateyama to Chikura. 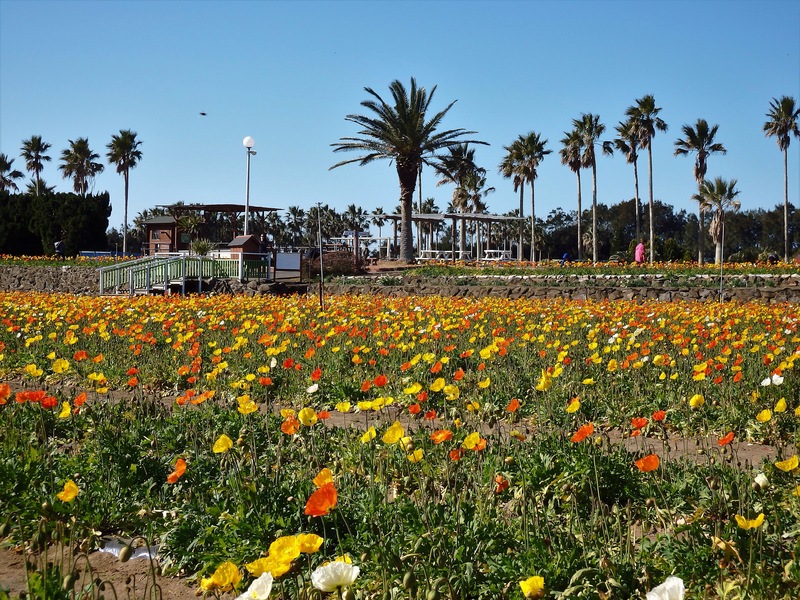 The road is actually lined with flowers, and to enjoy the blossoms up close, there are are flower parks (Nambo Paradise, Tateyama Family Park) and farms where you can pick/purchase your own flowers to take home. The facilities of the parks are a bit run-down, but if you really love flowers, or have kids who need to run around for a while, they are a good place to stop. For ‘temple lovers’, Minami Boso does not disappoint. Daifukuji, also called Gake Kannon, dates back to the year 717 and its cliffside red hall is dedicated to Kannon, the Goddess of Mercy. Views from its balcony are beautiful. 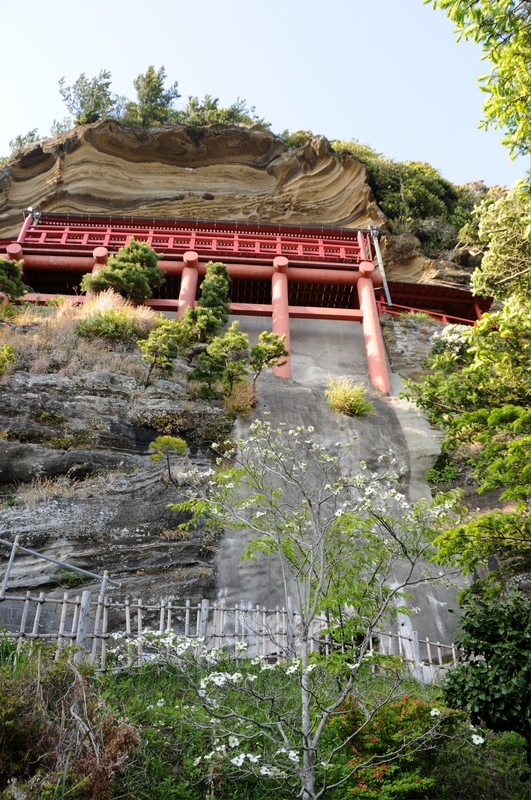 Seichoji Temple is located on Chiba’s second highest mountain, Myoken-san. 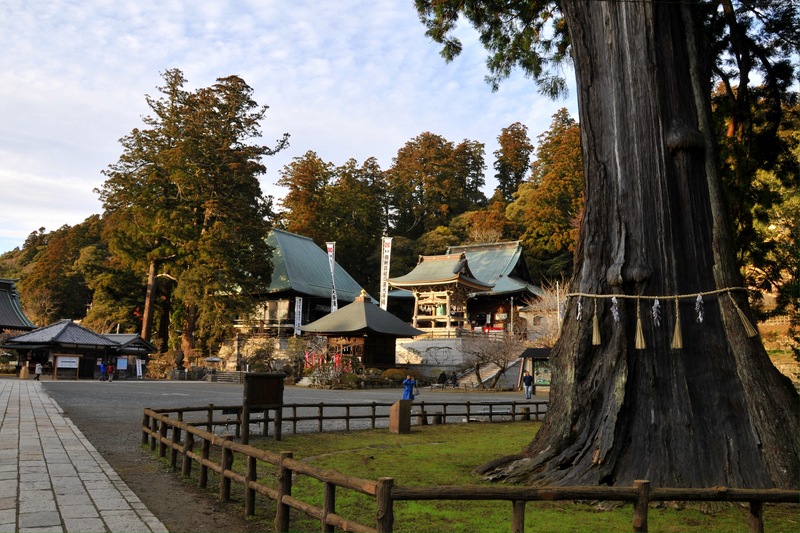 Also called Kiyosumidera, it is one of the four sacred places of the Nichiren Sect of Buddhism. 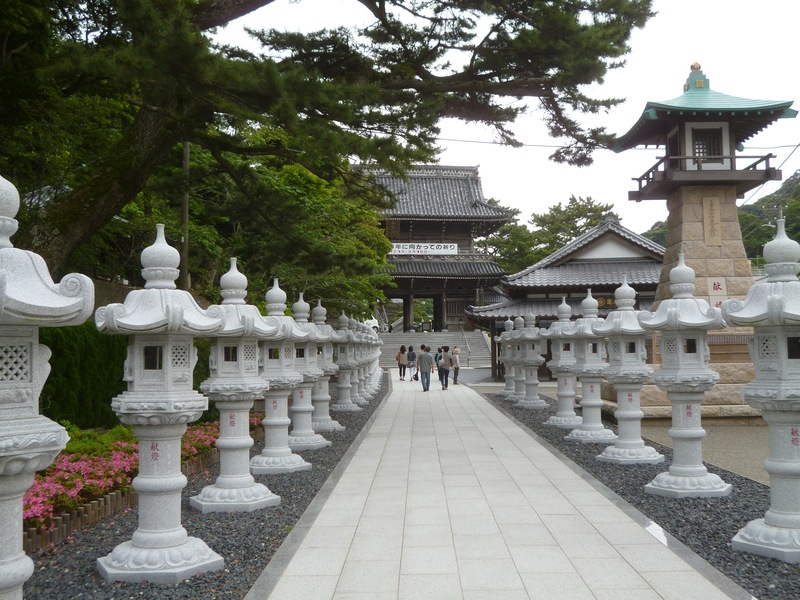 Tanjoji Temple was built to honor the famous priest, Nichiren Shonin. It is said that a large school of tai (red seabream) gathered in the bay here on the day of his birth. Normally found in deeper waters, here they live in the shallow ‘Tai-no-ura’ (Bay of Seabream). Considered sacred, the tai cannot be caught, and boat cruises leave from just in front of the temple so tourists can view the fish and enjoy the lovely coastline. Another local five minute traditional ferry boat travels out to Niemonjima, a tiny, scenic island where visitors can wander trails and explore the rocky shoreline. 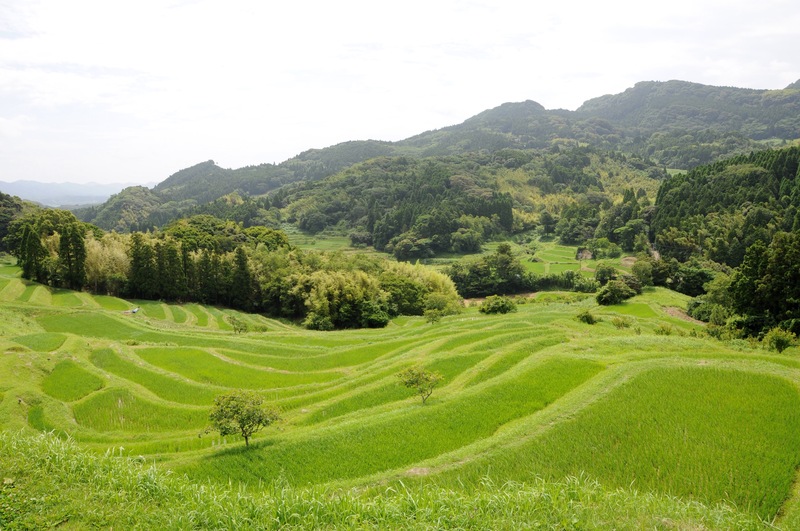 Oyama Senmaida, in the heart of Minami Boso, has been designated one of the 100 most beautiful terraced rice paddies of Japan. The paddies are lovely from mid-April – when they are filled with water, in June – when they are at their greenest, and even in early September – after the rice has been harvested and the edges of the fields are decorated with uniquely designed scarecrows. 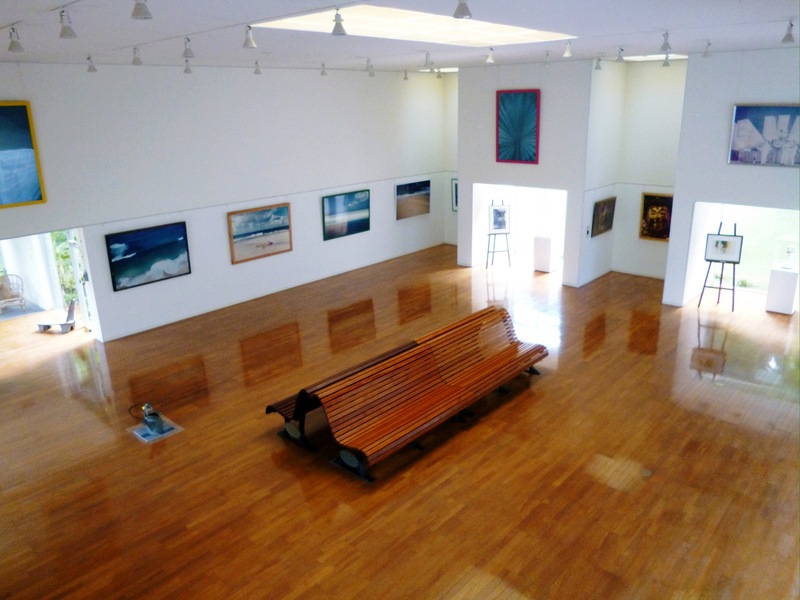 The only museum in the area worth mentioning is the Chikura Kaigan Museum of Art. It was founded by, and exhibits work of, the famous Japanese photographer, Shimpei Asai. To learn more about the small town of Chikura, the Tokyo Weekender published an excellent article. 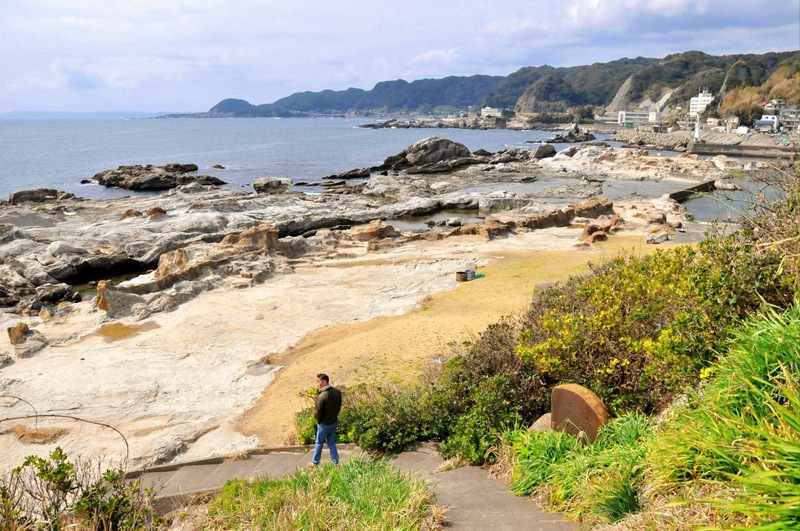 Minami Boso is filled with wonderful cafes, many of which sit near, or overlook the ocean. However, if you want something really special, make a reservation at Toki-no-ne. 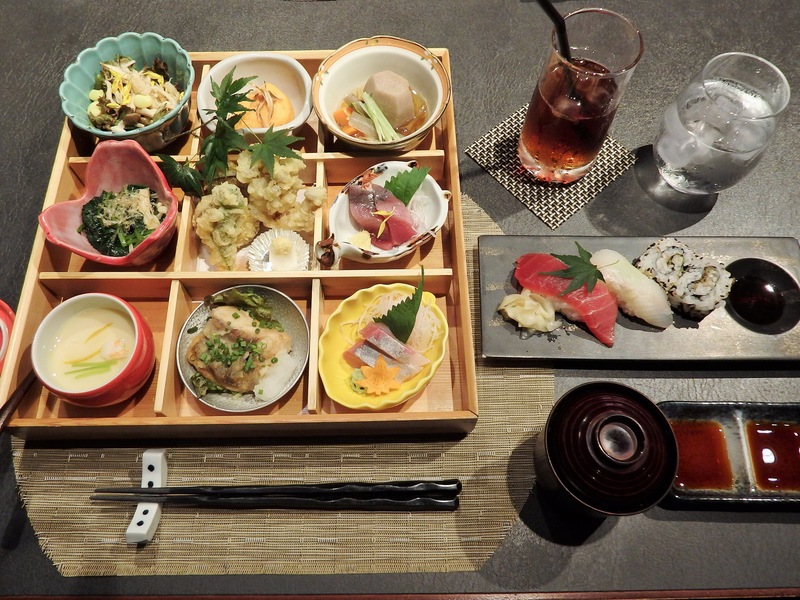 The restaurant is housed in a lovely, traditional Japanese home and they serve delicious set meals like this one. Before you head home, be sure to stop at the ‘michi-no-eki’ (road station) called Rosemary Park. Herbs & flowers surround buildings from a now-defunct Shakespeare themed park. This is a great place to buy locally grown produce and souvenirs. Although it is possible to access most of the sightseeing spots by mass transportation; trains and buses run sporadically. To visit a few of sights in a single day, you really need a car. 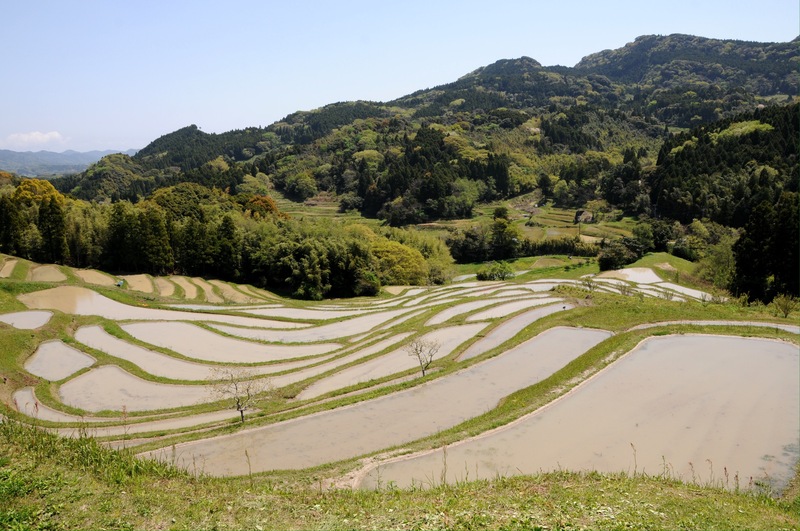 Minami Boso is about 100 kilometers, or less than two hours, from central Tokyo. I also recommend staying overnight in one of the many hotels overlooking the sea, especially near Kamogawa Sea World or Shirahama Nojimazaki. Most have wonderful hot spring baths and serve tasty, locally caught, seafood. 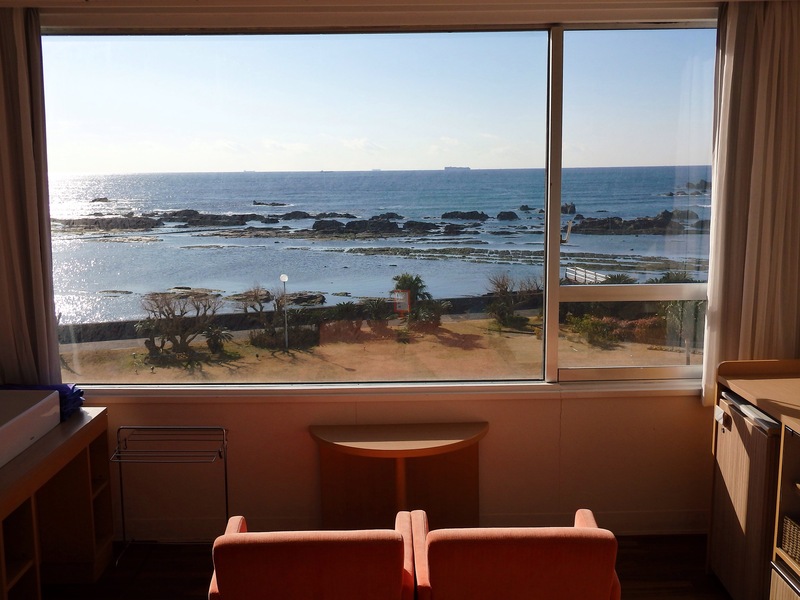 This is a photo from a room at the budget hotel, Resort in Shirahama (a great choice for people who travel with their dog). As for Kamogawa Sea World, I have never been there, but it is a popular destination, especially among families with children. 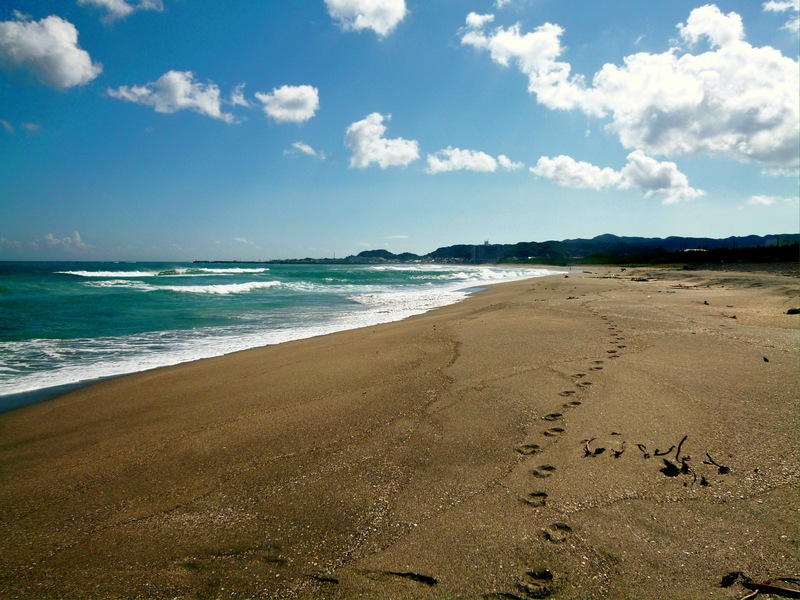 Minami Boso has the sea on three sides and warm ocean currents keep the climate moderate year round. Consider visiting these sightseeing spots in any month except August – when beachgoers cause massive traffic jams.